Floor Master is a unique broom/squeegee combination which is excellent for cleaning concrete and tile floors. 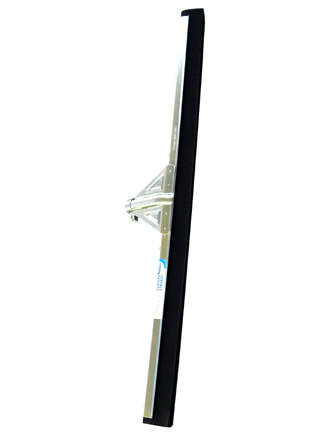 Squeegee has a rubber plated steel frame with a double blade construction for superior performance. The soft rubber blades fit the contour of uneven floor surfaces. The handle is constructed of 60” tapered hardwood.